We salute you digital and market research agency warriors! 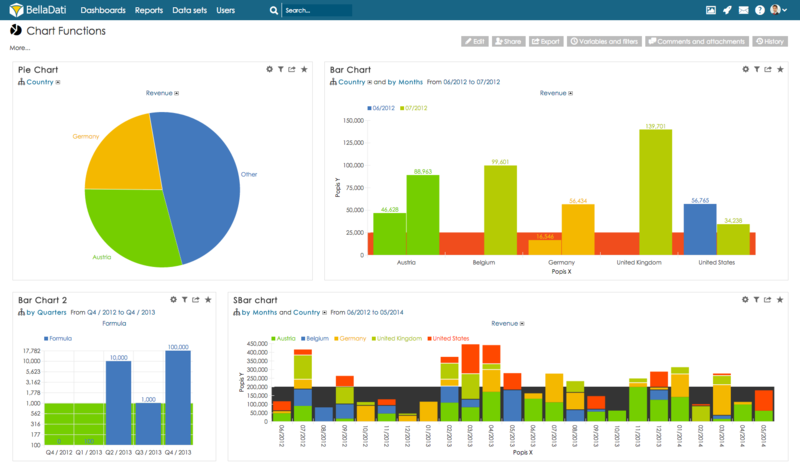 Crafting custom pixle-perfect reporting for your customers is not always an easy task. I hope, that this tutorial focused mainly on creating pixel perfect custom reports, color schemes, custom log-ins that match yours customer visual identity comes handy. 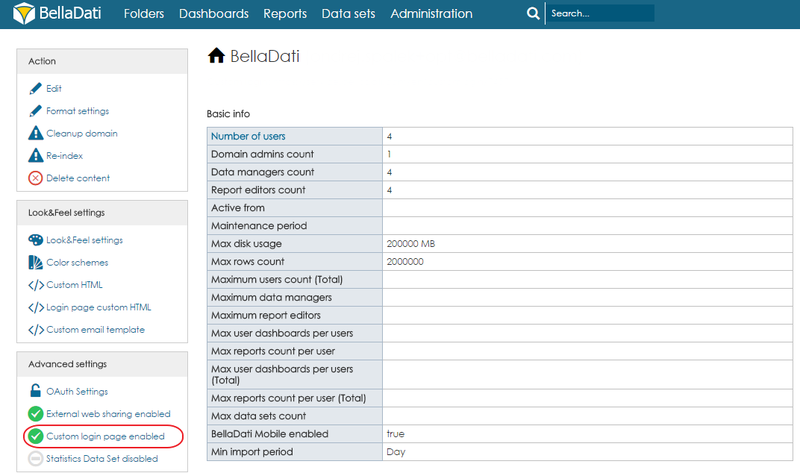 To start right away, you just need to go to BelllaDati top right menu and select “Manage domain” then you can find in sidebar “Look&Feel settings” and you can apply your very own CSS stylesheet. Cool part is. That each customer of your can have log-in branded with their unique visual style .You can also set the custom login page for you domain and change it as you need using CSS stylesheet. Let’s enable custom login page in domain settings. There is already a login page CSS stylesheet which you can completely rewrite. Apart from these you can change almost any other element as you like using the Firefox or Chrome built-in inspector to find the correct class and selector in order to style it.That way you can completely control the visual experience your customers will have. 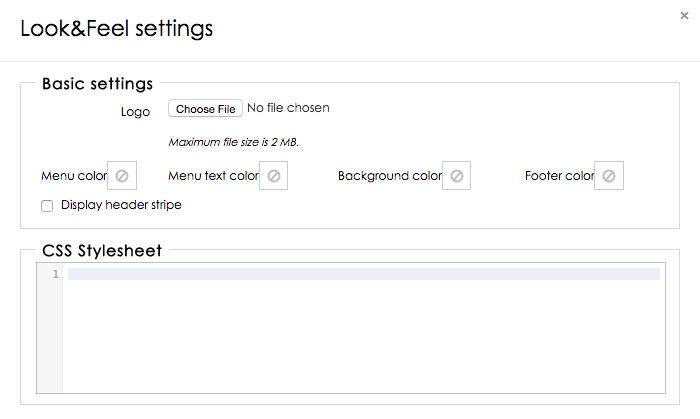 Whole application can be customized by using CSS styles or built-in design features. First option can be found here. Second option will be discussed in other agency focused tutorials. Script we used is below. Feel free to customize it an reuse it. Well. I like dark. Simple blue. But you can create really anything like RedBull extreme sports theme. 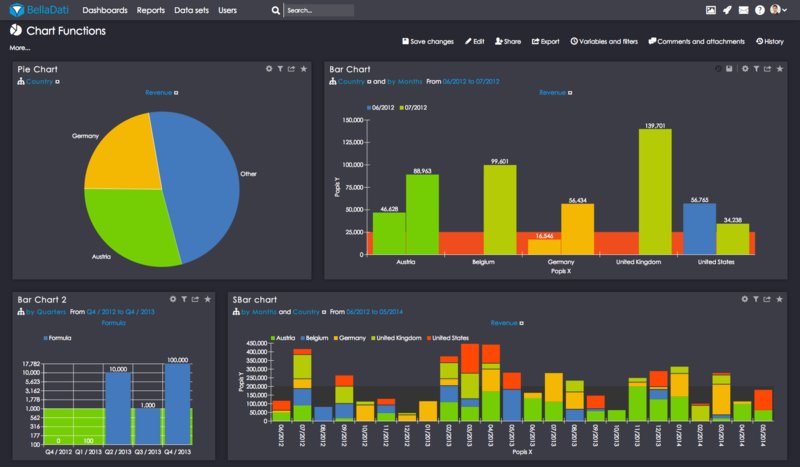 Each customer can have own customized log-in to reports. Again feel free to reuse scrip below. All you need is to upload it into the BellaDati. 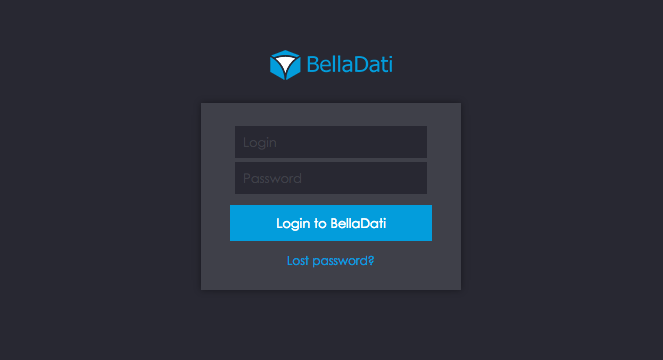 As you can see it was pretty easy job to rebrand BellaDati into desired look and feel of your agency. Just try it out! There are no boundaries! Next time we will take a look on the other customization options, that does not require you to use CSS.